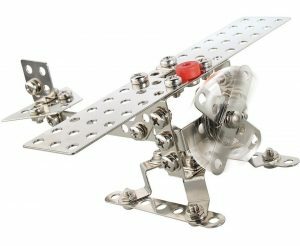 The little kid in me is loving the Metal Airplane Construction Kit I found from the fine folks at Norman & Jules – which is reminiscent of the classic Erector Sets of my childhood. Find the Metal Airplane Construction Kit from Norman & Jules here. See all the cool things for kids from Norman & Jules here. 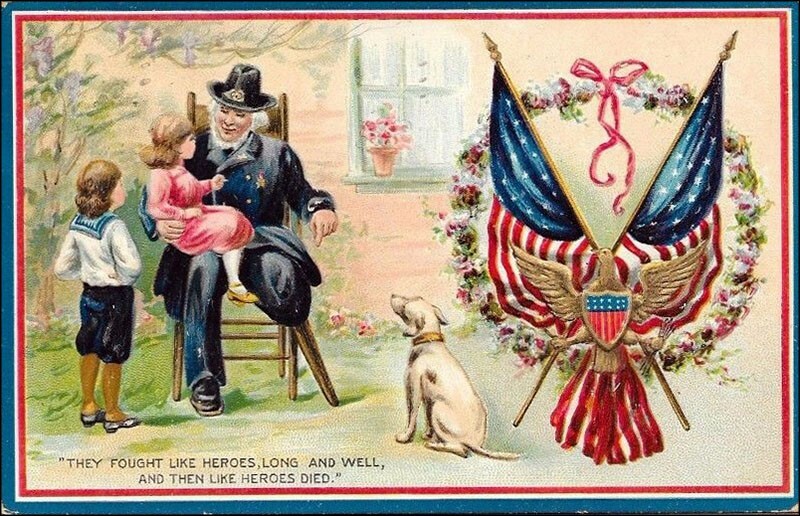 Growing up in New England, one of the more curious regional words that I heard a lot was “tonic” – which was the generic term for soda – like Coca Cola was a kind of tonic. I always thought it sounded like medicine, which is probably the root of it. Anyway, tonics, as in the type of thing that can help your health, are making a comeback and I am all over the trend, which is why I love Tonic – Delicious and Natural Remedies to Boost Your Health by Tanita de Ruijt. 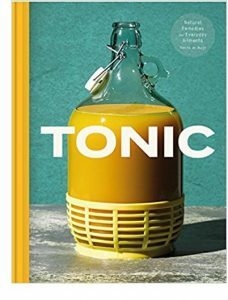 In Tonic, Tanita de Ruijt will have you pillaging your kitchen cupboards to make surprisingly effective – and inexpensive – remedies to cure whatever ails you. Inspired primarily by traditional medicine and wisdom from the East, these recipes have been carefully crafted to support your body’s natural defences, and keep you feeling good on a daily basis. Recipes include the immune-boosting Turmeric Tonic, to more eclectic Love Potions, Salvation Shrubs and Make-Your-Own Probiotics. Including a helpful ailment index plus an extensive medicinal guide to everyday herbs and spices, Tonic offers all-natural, effective ways to treat basic complaints quickly, safely, and effectively at home. Tonic – Delicious and Natural Remedies to Boost Your Health by Tanita de Ruijt is available from Amazon and other fine booksellers everywhere. We should all be ashamed that there are so many people going hungry in the richest country on the planet. 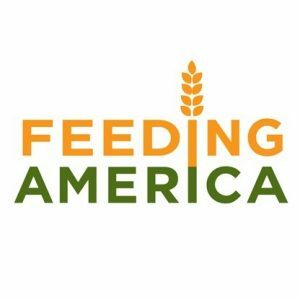 The fine folks at Feeding America are doing all they can to help stop hunger, but they need our help. Learn more about Feeding America and how you can help here. 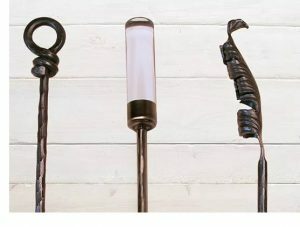 The fine folks at Sea Island Forge have the best Hand-Forged Fire Pokers you can find anywhere and they are the perfect accent for your outside fire pit this season. Find the Hand-Forged Fire Pokers from Sea Island Forge here. Learn more about Sea Island Forge here. OK, I have been featuring a few books of dog portraits lately. Sue me. But they are all great. This week, I am obsessed with Daphne and Daisy: Pawtraits of Sausage Style by Rachel Burke. My sister has a very cute sausage dog, and is a very good photographer – which makes this the perfect gift to inspire her. 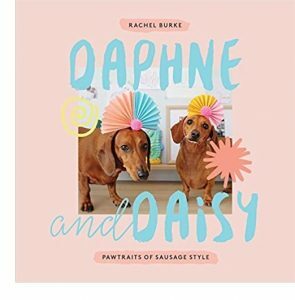 Daphne and Daisy: Pawtraits of Sausage Style by Rachel Burke is available from Amazon and other fine booksellers everywhere. When I needed to go to Las Vegas to attend a conference, my first thought was “yikes” as it is not my favorite place to visit. 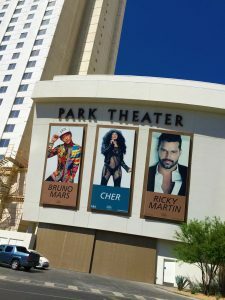 But I quickly did some research and saw that Cher was ending her spring residency at the Park Theater (part of the Park MGM complex on The Strip) the very night I arrived. Game on! Now I was excited to make the trip and catch a classic Las Vegas show. Well, I am here to report that Cher, now in her 70s, is still putting on a spectacular show with all the great hits, an amazing set, and of course dozens of costume changes. Cher will be back for another residency at the Park Theater in the fall. But if you are up for it, she will be doing a short residency at The Theater at MGM National Harbor in Washington, DC this summer, before a swing through Australia in the fall (can you say bucket list trip?). Check out Cher’s concert schedule here. 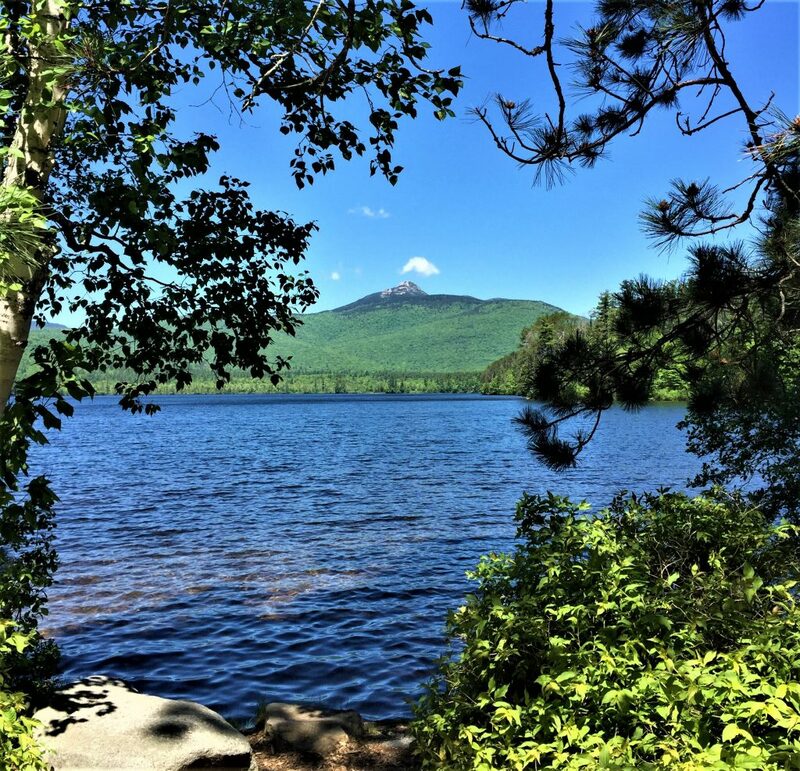 See what shows are coming to the Park Theater here. POSTCARD FROM LAS VEGAS: Ice Hockey in the Desert? The big story out here in Las Vegas right now is the playoff run of the Golden Knights, the city’s hockey team. It is a big deal because the Knights are an NHL expansion team in their very first season – so making it all the way to the Stanley Cup finals is incredible. It is clear that the city is behind the team 100 percent. 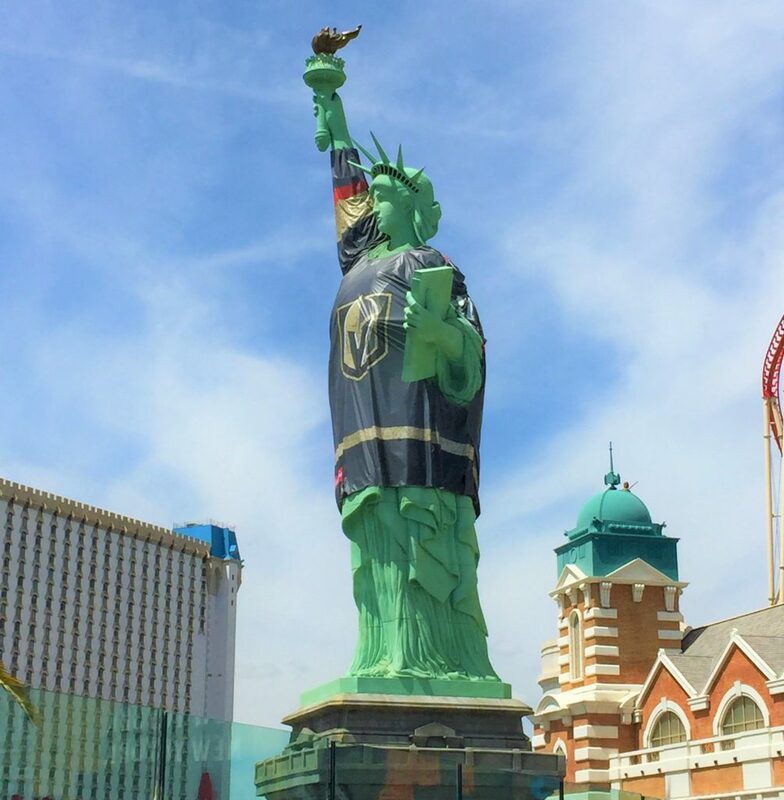 Here is a shot I took of the replica of the Statue of Liberty (which stands outside the New York, New York hotel and casino complex) dressed up in a Golden Knights jersey. 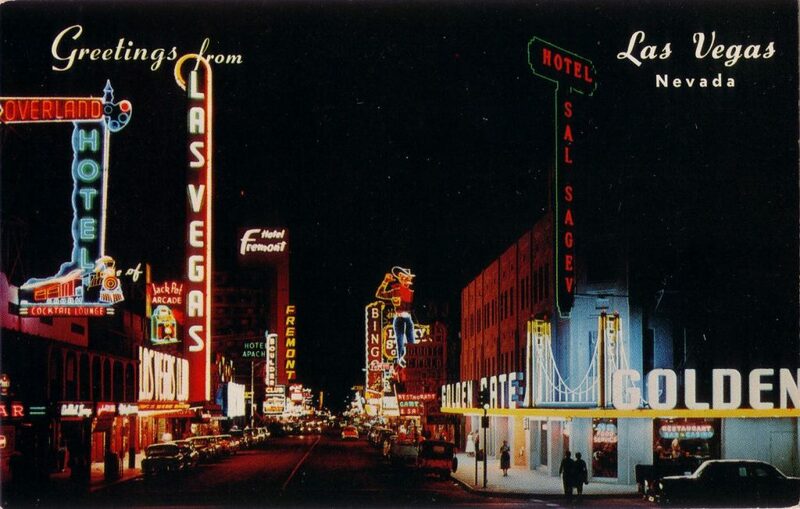 I am off to Las Vegas for a few days to attend a conference. Not sure what I will “find” out there, but keep an eye out. Lost Cowboy is powered by	WordPress 5.0.4 and delivered to you in 0.955 seconds using 58 queries.